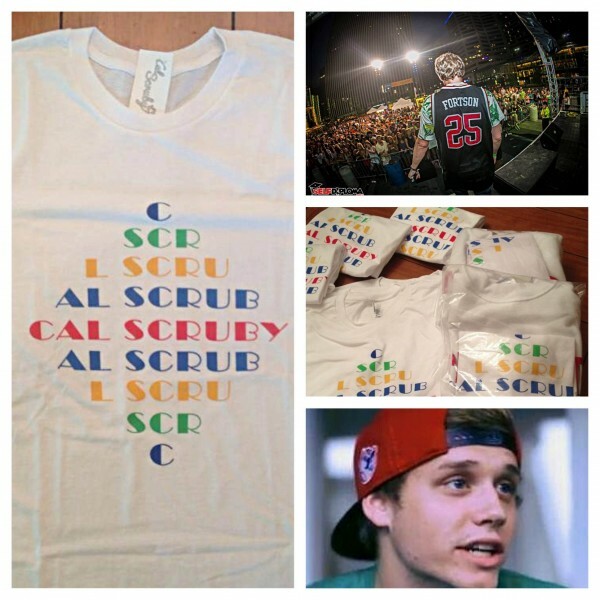 Cal Scruby is a 23-year-old product of Cincinnati, Ohio and the Ohio State University. Much of his childhood was spent in the small town of Landen, OH, surrounded by a close-knit group of family and friends; he spent his teenage years on a small piece of land in Northern Cincinnati. Cal’s interest in hip-hop grew from an early age until he started making music in 2011. His music covers the aspects of his young adult lifestyle, often using wordplay that references sports and pop-culture. With each project, Cal focuses on personal and artistic progression. Cal has been performing shows for big name artists all around Ohio with performers such as Jcole, Machine Gun Kelly, Timeflies, and big name festivals such as Ohio University's "Number Fest". We have been working with Cal for over a year now, helping him launch his fan merchandise and producing a high quality product. We look forward to hearing more from Cal and his next big project releases in Septemper. Don't forget to go to Cal's website and purchase some of his merchandise and follow him on Social Media. His pages are below.